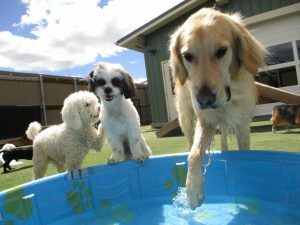 Your dog’s days at Quick Paws are spent playing with doggie friends, supervised by our attentive staff at all times. 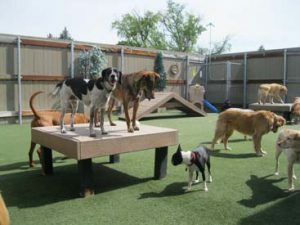 Our indoor-outdoor facility has room for all the dogs to play, socialize, or simply relax on the raised cots. Our goal is to provide a safe, clean, enjoyable atmosphere for your dog. Our goal is to provide a safe, clean, enjoyable atmosphere so your dog can feel at home and enjoy every visit. 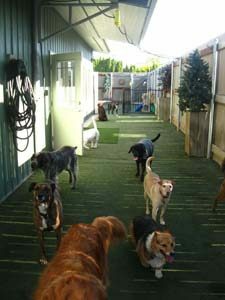 Check out more photos of our daycare and the dogs on Facebook! 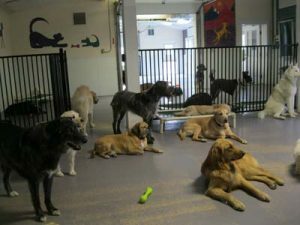 We limit our capacity for daycare and boarding, and our waiting list for new clients is usually several months (and occasionally as long as twelve months). Call now to get on our waiting list! Health and safety is priority: A fully-equipped prep room keeps our supplies and toys clean and sanitized. 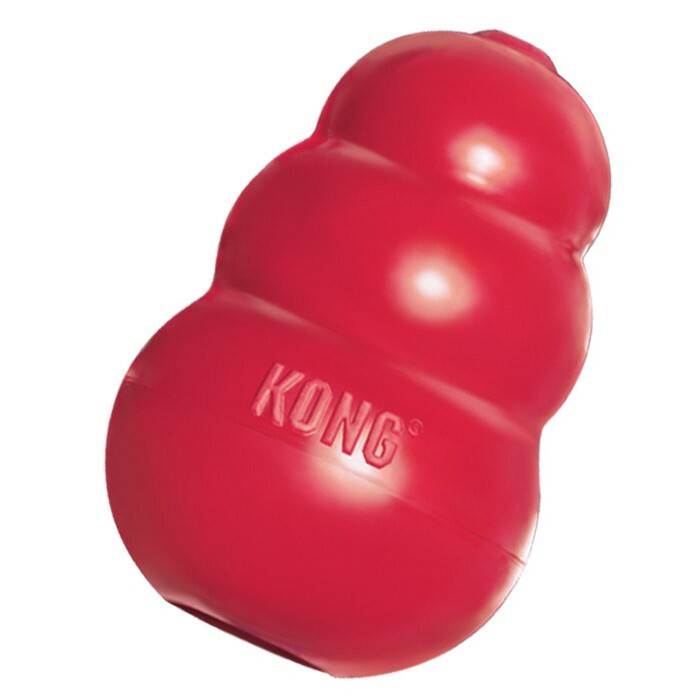 Individual storage containers help insure your dog gets only the treats and food you intended. Only quick-release snap-buckle collars are allowed in the Daycare. Bathing & Grooming: Let us send ’em home squeaky clean and looking marvelous! Quick Paws is open 365 days per year. Reservations for Daycare are not necessary, but please call ahead to book Lodging, Hikes, Grooming, and Home Care. Paperwork and the initial introduction must be completed prior to all our services except grooming. Of course, we’ll do our very best to accommodate last-minute requests, too. On major holidays (New Years’ Day, Memorial Day, Fourth of July, Labor Day, Thanksgiving Day, and Christmas Day) business hours are limited 8am – 6pm and we close at 6pm Christmas Eve and New Years Eve. 48-hours’ notice is required for cancellation. Folks new to Quick Paws must purchase one of our services at least once to be considered an existing client. We limit our intake of new clients to be sure we give our absolute best attention to pets already in our care. Our waiting list for new clients is often as long as one year, so call soon and we’ll do our best to get you in as soon as possible! If you’re not sure if your dog will get along with other dogs, talk with us! There may be simple ways to help your pet feel comfortable and safe. New dogs are invited to spend a free ‘Half Day’ at Quick Paws so you can rest easy knowing your pup enjoys his time with us. 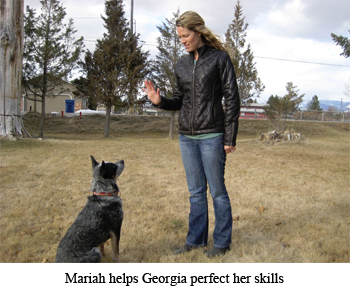 Quick Paws collaborates with the Humane Society of Weste rn Montana to offer Day Training. 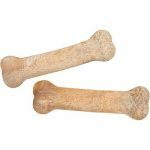 This is a great option for busy folks who need a little guidance with their dog on polite behavior. Whether you and your young dog are just learning the basics or your older dog wants to brush up on his skills, HSWM can help! We also recommend HSWM’s individual and group classes for dogs of all ages and abilities. Check out the details on HSWM’s website for more details. Play Ball Your dog, our guru, one ball. Nonstop! Show-off Your dog can strut their stuff with a staff member in our fully fenced yard. He can practice his tricks, play tug, or just spend some time exploring. Snuggles! Maybe your dog just needs some extra love and a few belly scratches! We’ll email you a photo and an update so you can see how your dogs are doing during their stay! We encourage all new dogs to take advantage of the initial “Free Half Day” we offer. It’s our priority to make sure your dog is comfortable here and enjoys herself. This free half day, valid for the first visit any day in advance of boarding, is especially important before your dog’s first overnight stay to allow her the opportunity to meet our staff and become familiar with our facility. We want to make sure she’s comfortable in the larger group of dogs beyond her initial introduction. If your dog is especially nervous or anxious during her free half, we may ask you to help us brainstorm ways to make her more comfortable or maybe even find a more suitable alternative. Quick Paws allows dogs a great opportunity to socialize with other dogs, receive valuable human attention, and spend time outdoors, but we’re not always a perfect match for every dog. We recommend boarding reservations well in advance of your scheduled plans because it is not uncommon for us to book up months before a busy summer weekend or holiday. Boarding is calculated on a 24-hour basis and extra time on the day of depart is calculated as daycare. For instance, if you drop your dog off for boarding at 9am and pick him up two days later at 3pm, the price would include two nights’ lodging and six hours (one half day) of daycare. We ask for at least two days’ notice of any change in boarding reservations (less than two days’ notice may incur cancellation fees). For any stay five nights or longer, we offer a free departure bath. Any stay seven nights or longer receives a 10% discount on the boarding rate. You are welcome to check your dog in and out from boarding any time during our business hours (Mon-Sat 7am-7pm and Sun 8am-6pm). If you plan to bring him after 5pm, we ask you please feed him dinner so he has time to get outside for a pit stop before we tuck him in for the night. Your dog gets to run around and play for the day but gets his own separate place to sleep at night. We also tuck all boarders in for a nap after lunch to give them a break from daycare for part or all of the afternoon if they wish. In each kennel, we place a water bowl and raised cot. Please send along your dogs’ regular food and any medication plus anything you use to administer pills (e.g. cheese, pill pockets, etc). We don’t charge an additional fee for administering medication and are happy to maintain the consistent food and medication schedule your dog is already familiar with. When your dog arrives for boarding, we will take detailed notes of your instructions. 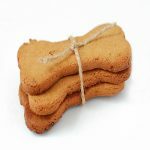 You’re welcome to pack a bed, blanket, or t-shirt (anything familiar that smells like home) and any treats or snacks you’d like us to give your dog during boarding. We ask you please don’t bring your dogs’ bowls (unless they’re very particular about their dishes) because we wash them after every meal so its simply more efficient to use ours. Many people package food in individual bags while others simply bring the kibble bag or tub. Its helpful if you also pack the scoop if you use one to measure your dogs’ kibble. Finally, please no crates (we are limited for space) and no rawhide chews (potential choking hazard). Staff do not stay overnight in our facility, but we have a full fire/alarm/security system and both the fire department and police station have blueprints to our building. Residential tenants are also on the property. We offer many options for additional exercise, one-on-one time, snuggles, and gourmet treats if you’d like to include any during your dog’s stay check out the “Pamper your Pooch” section above. We can also add these amenities to your dog’s schedule when they check in. We also offer shuttle services twice each day if you’d like us to pick up or drop off your dog from their stay with us. This is a handy option if your flight leaves very early or you are delayed returning to town. We look forward to the opportunity to care for your dog overnight and get to know him better!